Veteran Actress Michelle Pfeiffer wants to return to her Catwoman Role. Over her glorious career, legendary actress Michelle Pfeiffer has played various characters in many hit movies such as Scarface (1983), The Witches of Eastwick (1987), Dangerous Liaisons (1988), The Fabulous Baker Boys (1989). The list goes on and on but none remains deep in the charming actress's heart than her portrayal of the famous character Catwoman. In addition, The Wizard of Lies' star only joined Instagram earlier this year. Her debut post after joining the popular video-sharing network was a short clip of her acrobatic entry in the Batman Returns. Michelle, 60, played the feisty character in the 1992 Batman series Batman returns. She starred alongside Michael Keaton who played the popular DC Comics superhero Batman/Bruce Wayne. But even if she does return to play the role, Pfeifer did clarify that she would use a CGI if she is ever asked to do certain scenes, particularly in a scene where she had to put a live bird in her mouth as a part for the movie.
" I can't believe I did that. I could have gotten a disease"
Many consider that the three times Oscars nominee's Catwoman as the best version of character till date. It has been over two and a half decades since Michelle put on her costume for the iconic persona, but the action figures in her image are still being sold. 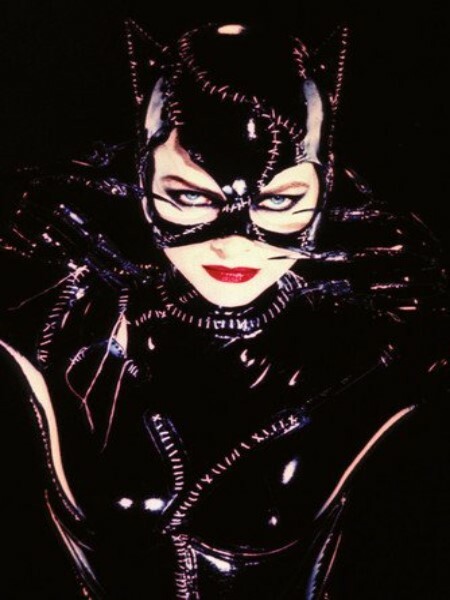 Michelle Pfeifer's Iconic Catwoman scenes in the movie Batman Returns, check out the video! That alone speaks of her status and admiration which she holds among the audience. However, the fact of the matter is, the chances that Pfeiffer's wish will come true is minimal. Despite her success in the epic action movie, the possibilities of getting the green light for reprising her role are slim. Fans are aware of this fact, nevertheless, even if she does not return to put on her costume and pointy cat ears, there is no doubt that Michelle's Catwoman portrayal will remain iconic for a very long time. That's one thing everyone will agree on!